EB has affected Cierra in every aspect of her life. There is nothing she does that doesn’t require her taking her EB into consideration, from food to where she can sit and how. Socially she struggles because others look at her like she’s different, when all she wants is to fit in and be accepted. The last 2 years has been exceptionally difficult as she’s spent much of her time in hospital fighting persistent infections. The last two Christmas’s have been spent hoping she will get discharged just so she could wake up at home on Christmas morning. But through it all, Cierra remained positive and bubbly knowing that it will be better soon. 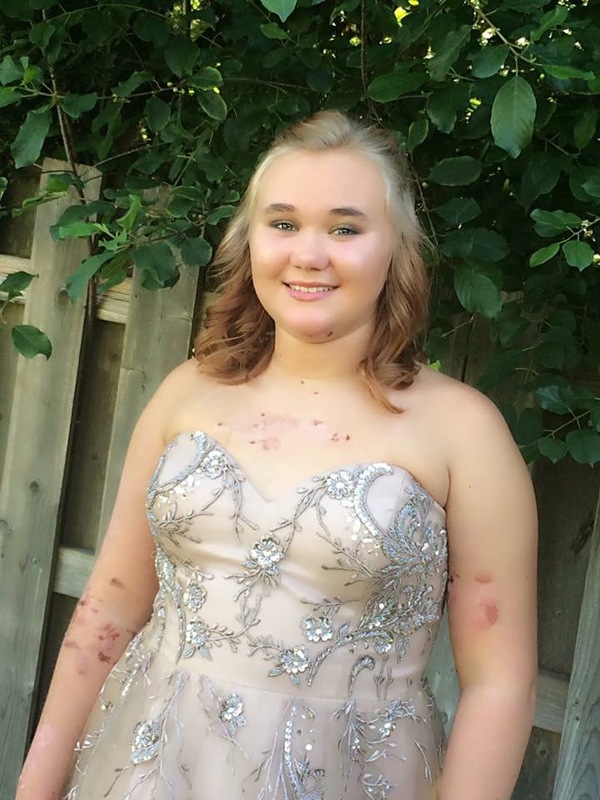 Just this spring she fought hard against a big infection in hopes to walk with her friends at graduation. She did it!!! While life throws her many curve balls, she always perseveres and comes out on top! Our family could not be more proud of the young woman she’s becoming!